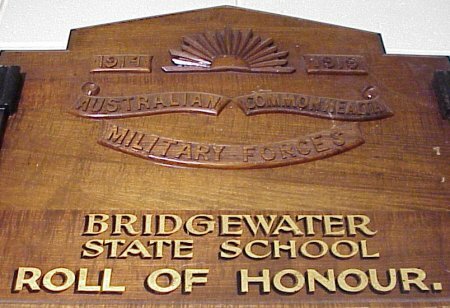 The following Roll of Honour was displayed in a corridor at the McShane Road site of Bridgewater High School until the building was demolished as a result of a fire in 2007. The board was not damaged by the fire and is currently in storage. Previously, it had been displayed in the old Bridgewater State School until that school was closed. It is planned to display the board in the new Jordan River Learning Federation buildings. 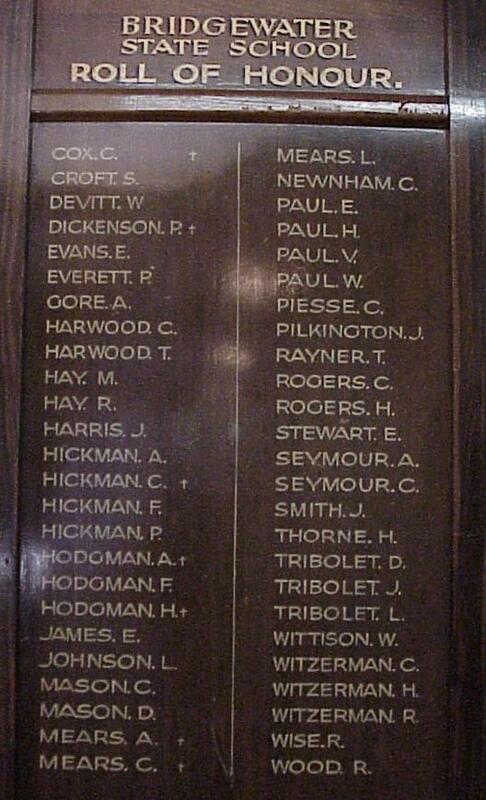 It lists 50 soldiers from the local area who served in World War 1. Seven of them died during the conflict. Photo available (CLICK on icon). 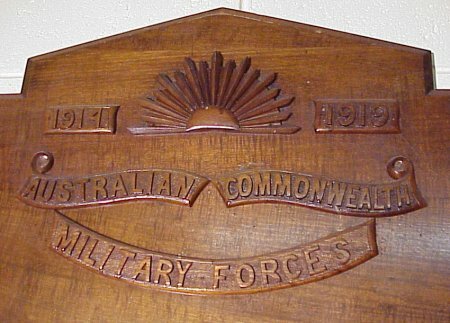 Died during conflict. Information available (CLICK on icon).